Egypt Travel offers awesome luxurious holiday to Egypt. Experience the fantastic tour to the exotic pyramids of Giza, Egyptian Museum and Coptic Cairo. Moreover, enjoy visiting Luxor & Aswan on one of 05 star luxuries Dahabiya, Sonesta Dahabiya Nile Cruise. Egypt Travel representative will meet and assist you at Cairo International Airport. After that you will be transferred by a modern air-conditioned vehicle to your 5 star deluxe Hotel in Cairo, Le Meridien Pyramids Hotel, Check in and overnight in Cairo. Breakfast, then move to start your blissful day kicking off at Memphis; the ancient capital of Old Egypt during the Old Kingdom. It was founded by King Menes. Poceed to the Step Pyramid at Sakkara which was designed by the architect Imhotep for his master King Zoser. Lunch at good quality local restaurant. After that, move to visit the enchanting pyramids of Cheops, Chefren and Mykerinus at Giza. Then proceed to visit the Great Sphinx, the head of a pharaoh with a lion's body, dates back to the time of Chephren. The tour also includes a visit to the Valley Temple which belongs to the Pyramids of Chephren. Overnight in Cairo. After breakfast, start your day kicking off at the Egyptian Museum that exhibits the enchanting treasures of Tutankhamen, among many other fascinating pharaonic artifacts. Lunch at a good quality local restaurant. After that, proceed your trip visiting the Hanging Church and Abu Sirga Church at Coptic Cairo. Back to the hotel and overnight in Cairo. After breakfast, check out from your hotel in Cairo, then transfer to Cairo Airport for flight to Luxor. Embark on board a 05 star luxuriously Dahabiya, Sonesta Dahabiya Amirat Cruise, in Luxor for a relaxing week sailing the Nile on board a luxuriously appointed Dahabiya. After Lunch, enjoy excursion to visit the magnificent temple complex of Amon-Ra at Karnak, with its vast hypostyle hall of 137 columns, followed by the imposing 28th Dynasty Luxor Temple. Overnight moored on the banks of the Nile in Luxor. After breakfast. enjoy an excursion to the West Bank to visit the burial places of the Pharaohs; the Valley of the Kings, where Howard Carter discovered the tomb of Tutankhamen` in 1922. Continue to the adjacent Valley of the Queens, the temple of Medinet Habu and the Colossi of Memnon. Sail on the way to Esna (noon time). Overnight near by Esna. This morning you will sail to Edfu to visit the wonderfully preserved Temple of Edfu. Overnight moored beside a Nile island. Today you will sail to Kom Ombo visit the Ptolemaic temple dedicated to the crocodile God Sobek and the falcon-headed Horus, God of the morning sun. Overnight moored beside a Nile island. A leisurely day sailing to Aswan where the Dahabiya moors overnight. 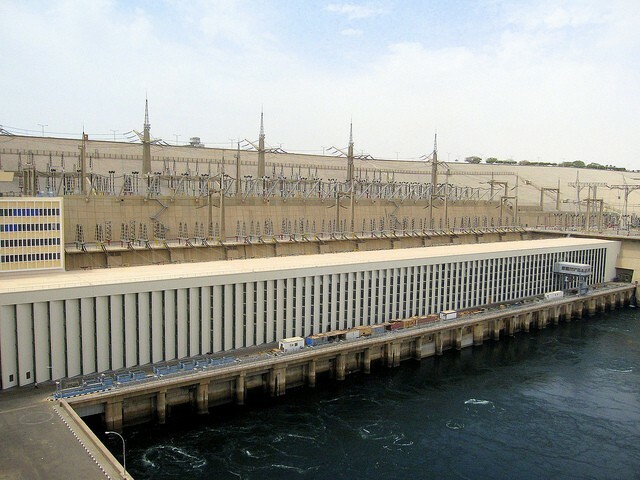 Today you will visit the Aswan High Dam (completed in 1971); the Old Dam (completed in 1902). You will also visit the Philae Temple, dedicated to the goddess Isis, a structure rescued from the rising water of Lake Nasser at the time of the High Dam's construction. Breakfast aboard the Dahabiya followed by disembarkation. After that transfer to Aswan Airport for departure to Cairo. Upon arrival at Cairo Airport, transfer to your hotel in Cairo and overnight.